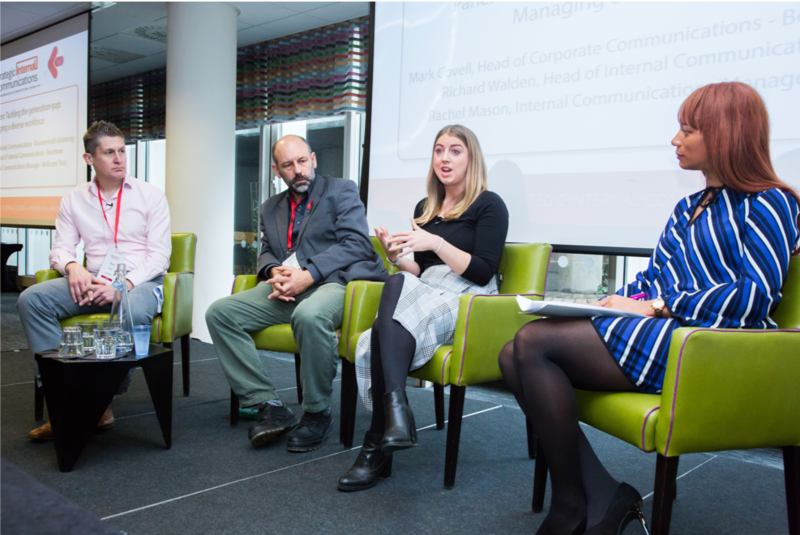 PRWeek has just held its annual Strategic Internal Communication conference in London. It was a comprehensive couple of days full of insights, smart ideas and plenty of networking. I was proud to be the media partner for the third year running and enjoyed catching up with clients and comms friends. Today I have a double guest post for you. 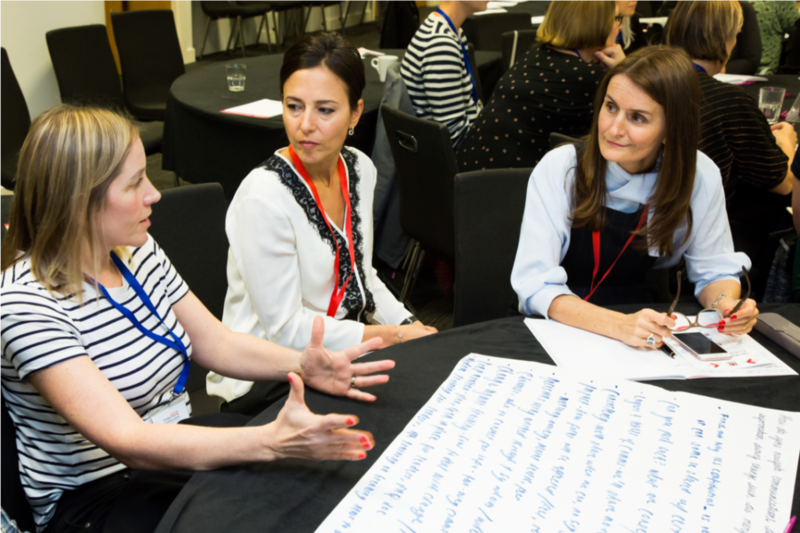 Caroline Chivers, @CMChivers, Head of Internal Communications and Engagement at Marie Curie attended the conference and Executive Coach Nadine Powrie @nadinepowrie spoke on day one. They’ve both kindly shared their thoughts with All Things IC’s readers. Thank you ladies. 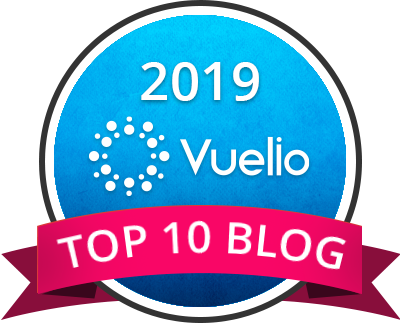 Come and discover what went on if you weren’t in the room between 7-8 November 2018. 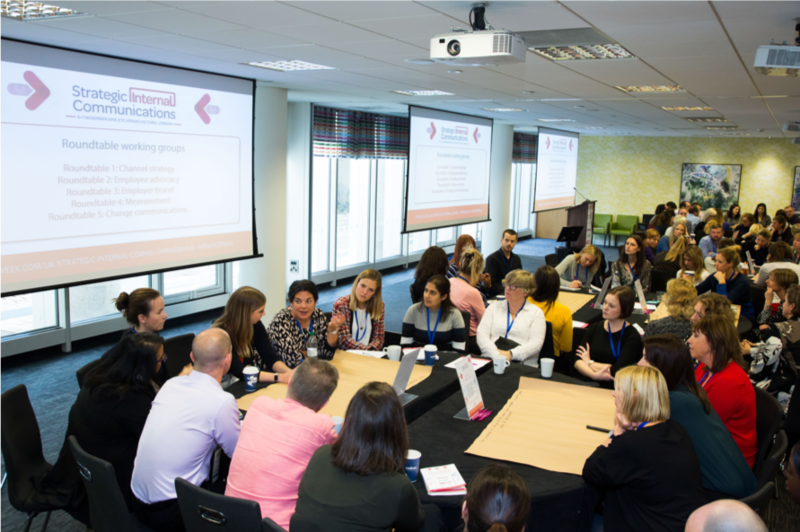 The conference was an action-packed mix of inspiring case studies, practical tools and techniques, and valuable discussions with fellow internal comms professionals. On the first day Rosa shared how Siemens have increased employee engagement and advocacy by shifting from top down corporate broadcast to employee driven discussions. As part of wider work on employer brand Siemens have developed a platform for people to talk about what drives them and to shape the future of Siemens. They focused on authentic human stories and made it accessible anywhere, even externally at https://medium.com/futuremakers. I was interested that despite being a global company, people most related to local stories. It shows how important it is for people to feel the connection and to see themselves in their company’s story. Rosa’s session set the scene for the event as most sessions discussed employee engagement and advocacy. Reinforcing that to make the biggest impact, internal communications needs to be across the whole employee experience. On the second day Chloe Foy, from Synergy Creative shared how they had recently measured a wellbeing campaign using Know/Feel/Do. I love this model to gather insight on whether messages have not only been understood, but also inspired action and behaviour change. 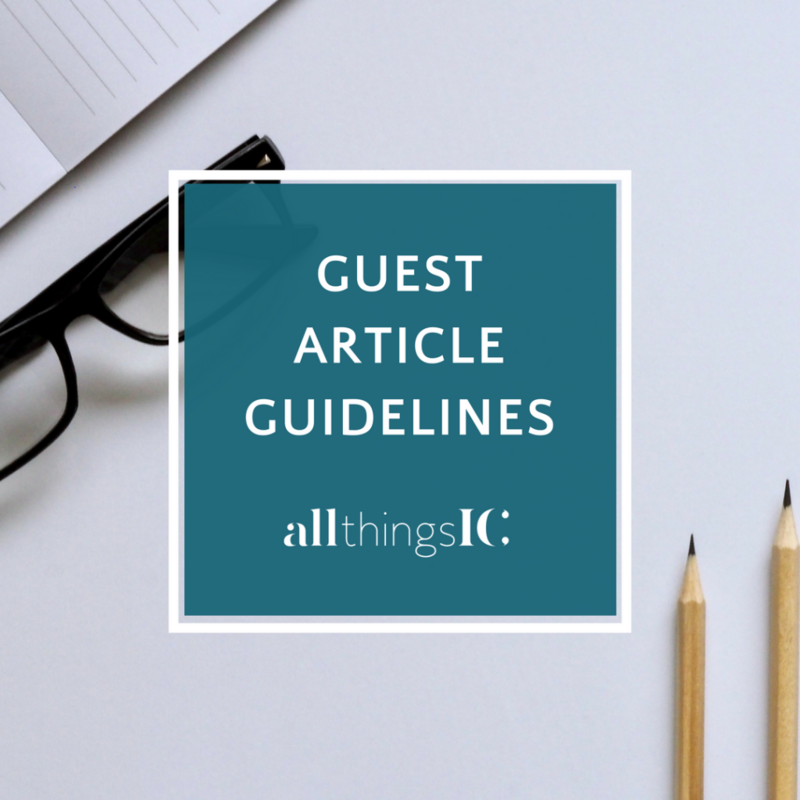 It’s a long way from the days of measuring awareness, and will provide tangible proof to your top team about how investment in internal communications can deliver results. I also found it meaningful that so many of the speakers spoke about mental health and wellbeing, there were examples from Hilton, Salesforce and others about how they were tackling it. Emma Mamo, Head of Workplace Wellbeing from Mind also ran a workshop where she shared some useful resources for employers and managers. “Engagement is a useless measure unless you’re clear about what you want people to do with it.”Simon Garcia, Head of Communications and Employee Engagement at HSBC. The importance of knowing what you are trying to achieve through digital and understanding your audiences came up in many of the discussions about digital over the two days. 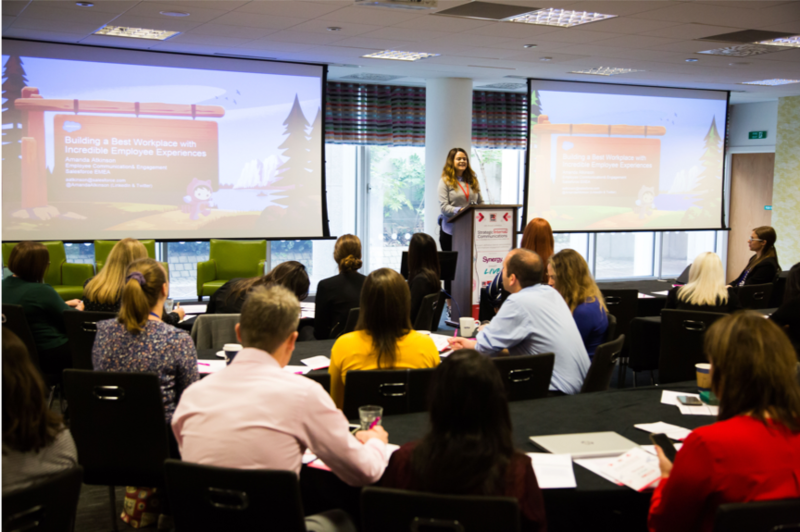 There were some great case studies including Amanda Atkinson, Senior Manager Employee Communication & Engagement from Salesforce who shared how they are using data to create a better employee experience. This has completely transformed the onboarding experience, and enabled them to personalise content to different audiences. With all the talk about Enterprise Social Networks, Apps and Bots it made me wonder whether the days of the traditional intranet is over. I don’t think we are there yet, but it does make me hopeful that by getting the right technology in place, we will have more time to focus on stories, content, and facilitating conversations and engagement in the future. Change communications, trust and authenticity were at the heart of many discussions I had across the two days. It’s important that as internal communications we both act as a trusted advisor and hold up a mirror to leadership in difficult times. At the event Katherine Bradshaw, @EthixGirl, Head of Communications at the Institute of Business Ethics (pictured below) talked about how when companies are authentically ethical they can inspire people to be organisational defenders. Katherine talked about the misconception that many people have that to be ethical you needed to share everything. She also shared some powerful questions to ask yourself when facing an ethical dilemma. Transparency – Do I mind others knowing what I’ve decided? Effect – Who does my decision affect or hurt? Fairness – Would my decision be considered fair by those effected? My final takeaway came from a great session on storytelling run by Suzanne Ellis, Director – Lansons and Alice Stevens, Management Communications – Givaudan. We learnt about the seven types of storytelling, practiced our own creative writing with the six-word story challenge, and talked about how to create the right emotional response. The session inspired me to watch some of the Pixar storytelling videos following the event, and I am now planning to use them as inspiration in editorial meetings to make our content even better. I would recommend the short films as a great resource to get your team thinking creatively. Thank you very much Caroline. I’m going to pass the baton to speaker Nadine Powrie who is going to share her thoughts. Nadine is an Executive and Leadership Coach. She is also a facilitator and a speaker. She helps leaders drive change, overcome stretch challenges and create growth mindset. 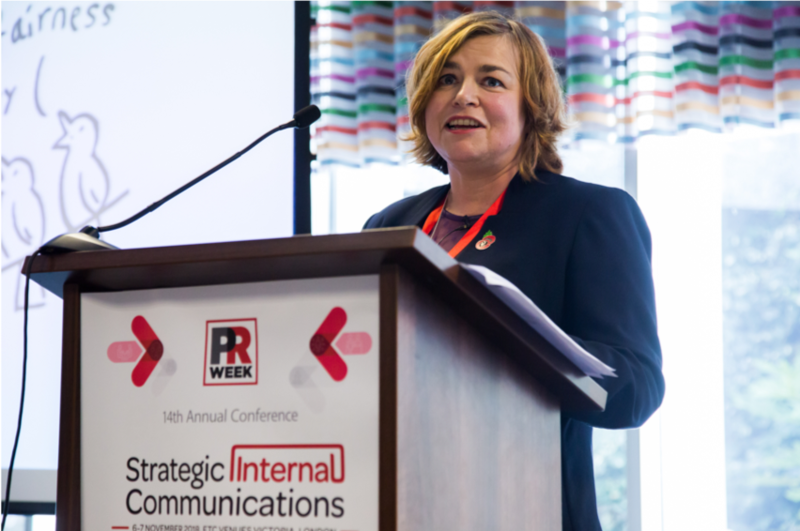 I am very proud to have attended the annual PRWeek Strategic Internal Communications Conference in London. The big message throughout the two days was that when you want to talk to people, you have to talk their language. Resonate with them whilst being yourself. Be the same externally and internally. 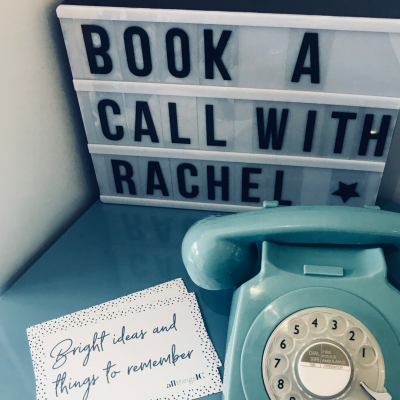 Jennifer Thomas, Head of Internal Communications, Direct Line Group shared with us straight from the beginning of day two that it’s no longer about push messages. It’s about creating a connection with people. Once you do this, people will believe what you are saying. Amanda Atkinson, Senior Manager Employee Communication and Engagement at Salesforce was clear that investing in people’s engagement increases their overall satisfaction. Think about the gap between the experience at work and in life. Her real time feedback on Apps is without a doubt a powerful tool. Prompt managers all the time to give feedback and ask three questions a month to employees about their own managers. In this way the culture of constant feedback gets embedded in the organisation. The panel discussing how to tackle the generation gap, managing a diverse workforce, all agreed that there were a lot of assumptions about the different generations and particularly with Millennials. Yes Millennials still read their emails! It’s important to encourage people to talk about themselves. If you ask people about themselves, they will talk about their job and it’s time to do something different. Take time to get to know your people, meet them where they are and be flexible. A little empathy goes a long way. It’s clear that mental health is on the agenda of many organisations. It’s ok to talk openly about anxiety, depression and loss but let’s not assume anything. Do you feel comfortable responding to what people say? Finally the idea with the Reverse Mentoring approach won everyone’s heart. Reverse mentoring is when the Executive Team is mentored by junior staff. How would you feel if this was introduced in your organisation? The message was that it’s not just what you do, it’s how you do it. We should all think like a scientist. Test what works first and what does not. It always supports the case to justify why you did what you did. So yes, ask experiential questions and do not ask questions that date back before last week. When you measure the impact of Comms, look at the return on investment and return on engagement. Both will give you a complete set of different data intelligence. So let’s do it right and let’s do it well. What would you respond if you were asked ‘How ethical are you’? What a great question. Ethics at Work 2018 Survey of Employeesmakes a fascinating read. It has a lot of statistics, infographics and research. Taking the ‘ethical temperature’ of an organisation is not an easy task. What struck me for example is that 24% of UK employees have been aware of misconduct at work, the most common misconduct they noticed are people treated inappropriately, unethically (48%), bullying or harassment (40%), safety violations (35%). Roundtable working groups were very successful. These were interactive sessions where delegates had the opportunity to work with a group of their peers to solve an internal communication challenge. Each of the five themed tables was headed by a group leader (and I was one of them) who introduced the scenario and led the discussion. It was a great opportunity for delegates to share their experience and learn from others. Suzanne reminded us of one book to read ‘Why do we do what we do? With every story there is a purpose. I agree with her that stories do not have to be long to have an impact. Every story has a beginning, a middle and an end. What was fascinating is that she focused on 3 neurotransmitters: Serotin (you feel happy and good about life), Oxytocin (you connect emotionally, creating feeling of empathy, sadness or warmth) and Dopamine (you are in suspense and want to find out what happens next). She demonstrated to us how we can have 3 different ‘chemical reactions’ in our brain when we hear stories. She talked about the 7 basic story plots to convey information which is widely used in internal communication. It was a great two days full of insights to take away. Post author: Nadine Powrie. You can find her online via her website, on LinkedIn and Twitter @nadinepowrie. My thanks to Nadine and Caroline for capturing their thoughts. I enjoyed attending Day one of the event (I had to leave in the morning of Day two to work with LEGO. If you’re a regular reader of my blog, you’ll know that was a bucket list situation come true for me!). 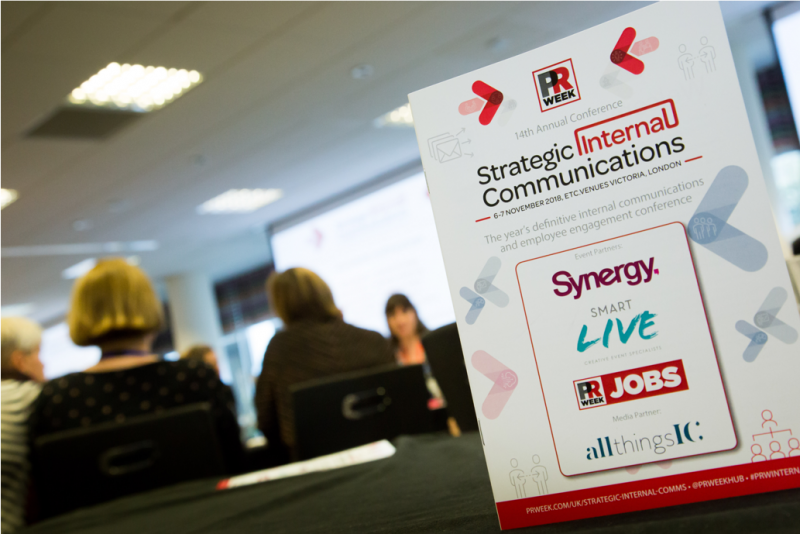 The PRWeek Strategic Internal Communications conference is always a highlight of the year. I enjoy it because it features senior-level practitioners sharing their experience and I always end up learning something. Well done to the whole team at Haymarket, it was a pleasure to work alongside you. 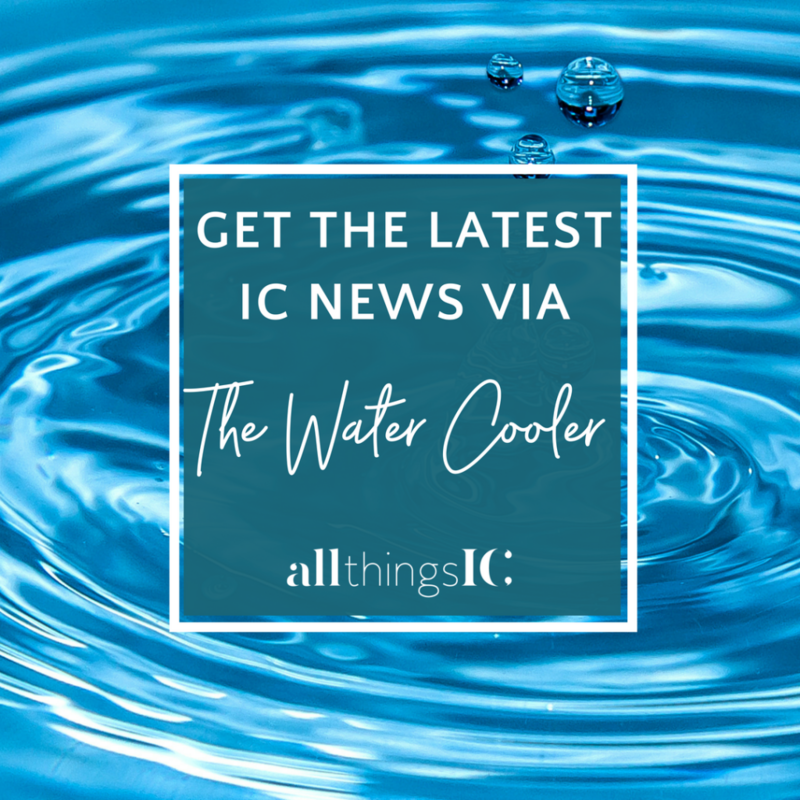 Want to know what else is going on in the IC world? See my events calendar. 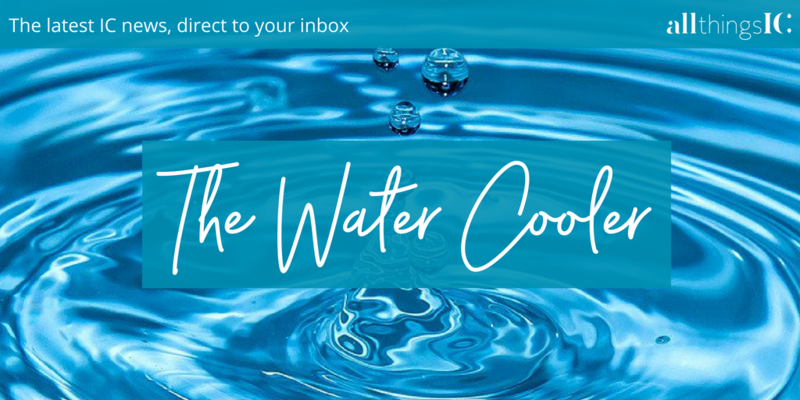 I also profile events in my monthly newsletter The Water Cooler. 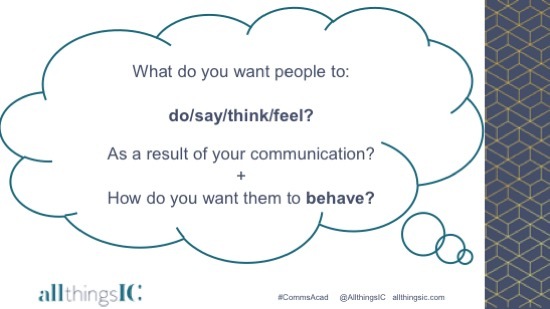 Want to learn more about internal communication? 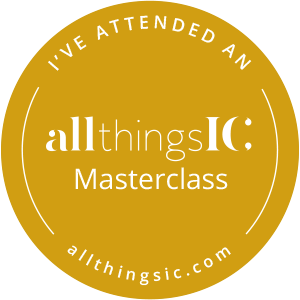 I’d love you to join me at my upcoming All Things IC Masterclasses. Search the Masterclasses website to discover full information about my one-day courses in London. 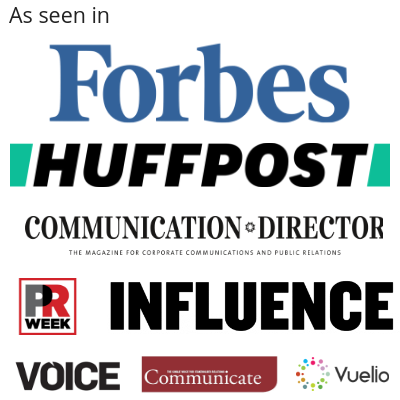 I offer a range of topics including Internal Communication and Change Communication. 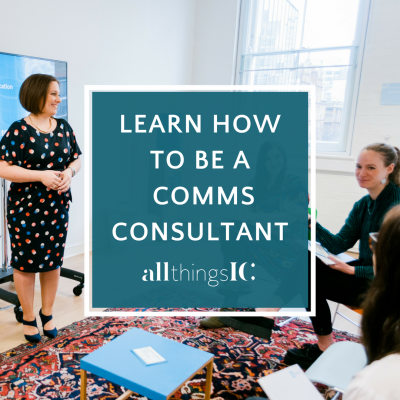 My How to be a Communication Consultant Masterclasses have two options – Exploration if you’re an aspiring Consultant and Momentum if you’re an existing Consultant. 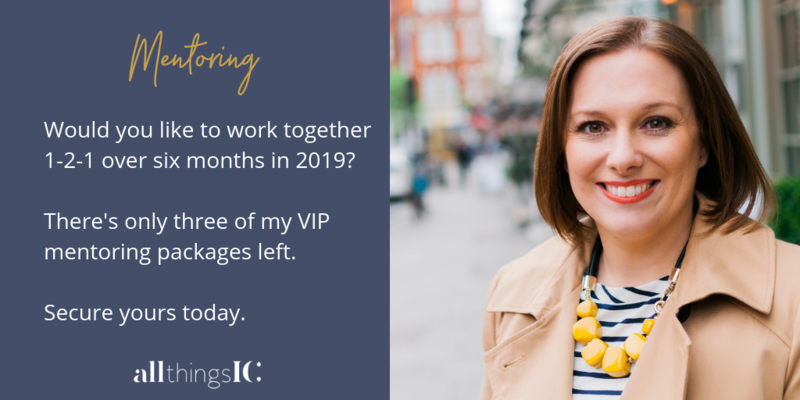 There are a range of ways I can boost your skills, knowledge and confidence including 90-day plans, VIP Days and six months of VIP Mentoring with me. Save your place today to benefit from my 2018 prices next year. 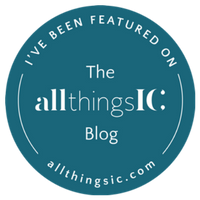 First published on the All Things IC blog 16 November 2018.